I've been in UK for the past couple of months on a business trip. What best way to be in touch with friends if not VOIP? The glich: No built-in mic on my laptop. When I was looking for a mic, I stumbled on a Bluetooth earpiece on Amazon. I also own a Sony Ericsson w800i mobile phone that needed this for quite sometime. Suddenly the brain wave: Why can't I use this bluetooth earpiece for VOIP? Amazon rescued me once again with the "People who bought this also bought" refrain. 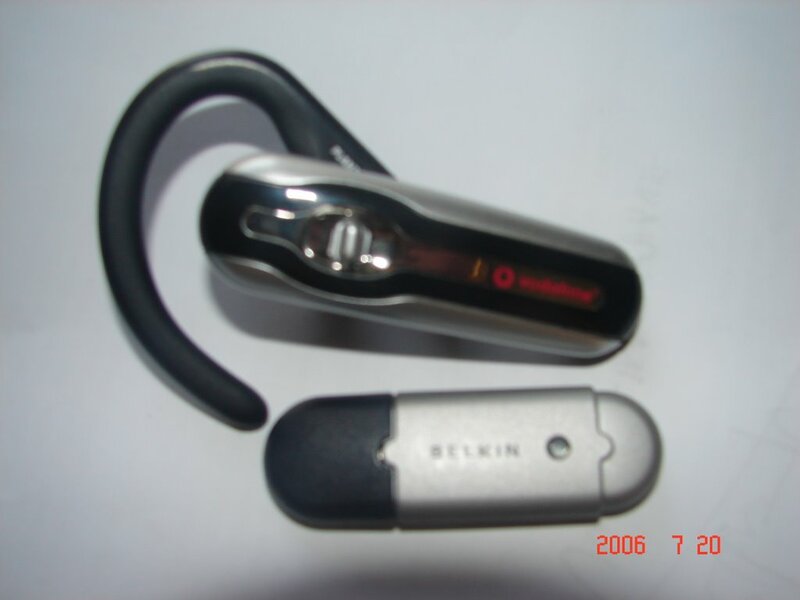 Belkin Bluetooth Adapter! I'm so impressed! I strongly recommend BBA for anybody who wants to use their bluetooth earpiece for VOIP. In 50 pounds, I was online in no time at all. I had a Sony Ericsson mobile phone and Plantronics320 was supposed to be compatible with. It did not pair with it. Unfortunate circumstances led me to switch to a Motorola. And again the device left me in a limbo. At last, It's time for me to dig into Bluetooth and workout what is it all about. Well, I came to know about "profiles" and how profiles are synonymous with an interface. The host queries the device for the interface using its name, such as "hands-free", "handsfree", "headset" etc.